Paperback, 8.25 x 10.75 in. / 184 pgs / 69 color / 85 bw. 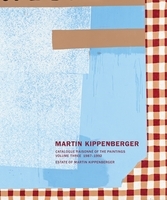 This volume gathers Ursula Böckler’s 1986 photographic documentation of the “Brazilian adventure” of Martin Kippenberger (1953–97). 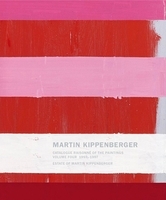 Böckler, the artist’s assistant at the time, depicts Kippenberger dancing in bars, celebrating his 33rd birthday and performing for the camera. He collects material for his works and projects, and engages with the urban backdrop in Salvador de Bahia, Manaus or Recife, staging various “Aktionen” in public spaces. 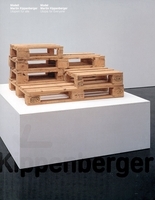 Böckler’s 150-plus images include her personal observations as well as Kippenberger’s ideas and performative interventions. 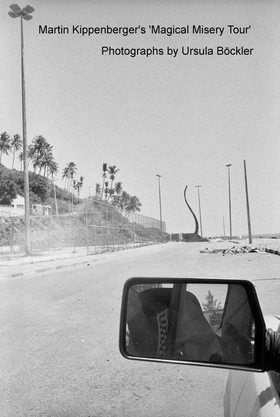 The journey also includes the legendary ‘Aktion’ of the purchase of a beach-front petrol station that Kippenberger named the “Martin Bormann Tankstelle” (based on the theory that the Nazi war criminal had moved to South America and was now operating a petrol station). FORMAT: Pbk, 8.25 x 10.75 in. / 184 pgs / 69 color / 85 b&w.